Everyone owns a vacuum cleaner, but the standard vacuum has its limits. Dependable as they are, your trusty vacuum cleaner can’t do everything, and as such new hybrid vacuums are starting to become increasingly popular, bringing greater flexibility to one of life’s most tiresome chores. The latest craze is handstick (or just Stick) vacuum cleaners, which provide and quick and easy vacuuming salutation for busy households. Read on as Canstar Blue reviews handstick vacuums cleaners to help you find the right helping hand for your home. Stick vacuum cleaners are a sleeker, modern design of the traditional handheld vacuum, and are very handy to have around your home. Their primary purpose is for a quick and easy in-between clean and best suited to reach those hard to reach places. Handstick vacuum cleaners are designed with convenience in mind. They’re cordless and bagless, and their generally lightweight build and slick design means they’re more easily stored and movable than traditional vacuums. The biggest downside to handheld vacuum cleaners is that they have often lacked the suction power of their bigger cousins – the upright or barrel vacuum cleaner – but things are starting to change, and those seemingly innocuous stick vacuums are starting to pack a punch. You might even find a stick vacuum can completely replace your bulkier existing vacuum, but it’s probably the case that most households will purchase one as their quick and easy ‘number two’ option for those occasions when using the bigger unit is too much effort. How much do stick vacuum cleaners cost? Handstick vacuum cleaners can cost anywhere between $50 and $1,000, depending on the model and the brand. Since most handstick vacuum cleaners are less powerful than traditional barrel or upright vacuum cleaners, it’s no surprise that they’re cheaper in most cases. If you’re looking for a budget option, a handstick vacuum can cost you less than $200. However, due to their increasing popularity, some of the leading manufacturers have been making more advanced and innovative designs. As a result, more feature-packed and expensive units are also available. The most expensive model currently listed on Appliances Online is the Dyson 227265-01 V8 Absolute+, which costs $999, while the cheapest is the Airflo AFV616 Dream Clean, which will set you back a little under $100. The biggest differences between the two models – other than prices – are the number of special features the more expensive Dyson vacuum is equipped with. Canstar Blue research shows that 45% of Australians have more than one vacuum cleaner and that consumers are spending an average of $338 for each one. Clearly a large number of Australians feel that spending large sums of money on a functioning second vacuum is a worthwhile investment. If you’re one of these people, then you might want to consider buying a more expensive model that comes with additional features and greater power. To help you decide, here is a look at some of the most popular brans on the market. When it comes to vacuum cleaners, Dyson is often hard to beat, and its innovative new handstick vacuums are no exception. However, be prepared to pay top dollar for them! Prices range from $249 to $999, offering a variety of high-tech features including Dyson’s digital motors with acoustic improvements for less noise. The Dyson Cyclone V10 handstick vacuum is one of its flagship handstick models. It’s equipped with 125,000RPM spin speed and a battery life of up to 60 minutes. However, this time decreases significantly when used on high power modes. It comes with an extensive number of accessories including a crevice tool, mini soft dusting brush, combination tool, mini motorhead tool, soft roller cleaner head and direct drive cleaner head. While this model will cost you $999, the previous V8 Absolute+ handstick vacuum is also one to look out for, being equipped with a battery life of up to 40 minutes and boasted for two-tiers of cyclone chambers for increased airflow. The South Korean tech giant, LG, is one of the world’s biggest appliance manufactures and also offers a handstick vacuum range. It sits in a similar price category as Dyson, with the LG models being available from around $699 to $999. Its latest model, the A9MASTER2X with Aeroscience Technology, is boasted for an adjustable height with a max height of 1,112mm. Similarly it allows for up to 40 minutes of vacuuming but includes two batteries, giving you double the vacuuming time. If you choose to use the power mode, it will last up to 9 minutes per battery and up to 6 minutes in turbo mode. Other key specs include a 2.7kg weight, 3.5 hour re-charge time and a noise level of 82dB (turbo mode without nozzle), which is about the same loudness that a standard food blender produces. On the cheaper side of the LG range, you’ll find the A9PETNBED Handstick vacuum. It’s similar in certain aspects, such as its weight and noise levels, and also features a detachable handheld vacuum. It has a run time of 30 minutes in the power mode and 40 minutes in the regular mode. It’s can be stored in three different ways including wall-mounted, floor-standing mode and compact mode. Another high profile brand to consider is Electrolux. It equips its vacuums with a number of innovative features and unique technological advancements that help them stand out. Electrolux provides 10 different handheld models in Australia priced around $150 to $350, many of which have very high consumer scores. While its vacuums appear to be heavier on average, they still seem to offer excellent value with nifty features such as the self-standing feature, swivel nozzle and increased suction power. The Electrolux ZB3320P ErgoRapido 2-in-1 handstick vacuum is specifically designed for removing pet hair with its motorized Fabric Pro Power Nozzle. It features an LED light for cleaning under furniture and has a battery life of up to 48 minutes on just a regular setting. One other model is the ZB3113 Ergorapido 2-in-1 handheld vacuum, which should only cost you around $300 and also offers up to 45 minutes of run time. It is boasted for 180° swivel head maneuverability and low center of gravity design that enables the vacuum to glide across floor surfaces with ease. Black & Decker brings forth several cordless handstick vacuums at the cheap end of the spectrum, roughly around $100 to $400. The Black & Decker SVFV3250LR-XE Stick Vacuum has a 25 minute running time and boasts ORA Technology with a 12 Air-Cyclone system. It also comes with several tools, such as a pet tool, 2-in-1 nozzle/flip out upholstery brush, long crevice tool and accessory storage on the docking station. Two latest additions to the Black & Decker pack are the 45Wh 2-in-1 Cordless Multi-power cleaners – one designed specifically for pet owners and the other for allergy sufferers. While both feature the same key specs, including the weight (3.85kg) and noise level (76.6dB), the Pet Vacuum cleaner also boasts a removable, anti-tangle beater bar lift, plus a cotton-fresh scent disperses while you vacuum. The Allergy Vacuum Cleaner, on the other hand, is said to have a Dual HEPA filtration system to trap 99.92% of dust particles. Both have a run time of up to 60 minutes and a charging time of 6 hours. These models are also equipped with a battery charge indicator and an LED light to illuminate the floor. Bissell offers a concise range of high-quality handstick vacuums. Its range sits around the $199 to $500 mark. One such model, the 2166F MiltiReach XL 36V Bolt Vacuum Cleaner, is stated to provide up to 95 minutes of run time before needing to be charged, which is quite generous for the $400 price tag. It allows for swivel steering and under furniture vacuuming with its low profile. In addition, you’ll find Bissell’s ‘Edge Reach’ system, claimed to divert suction to the edge of the vacuum with uniquely shaped bristles and provide cleaning all the way to the corner of the room and soft touch handle grip with finger-tip switches for comfort, plus ‘Clean Turn’ filter technology. Bissell’s latest model – the 3396F 2-in-1 Lift-Off stick vacuum cleaner – is claimed to be a lightweight 12-volt model that can be used as either a stick vacuum or a handheld vac. It also comes with a motorised brush roll for carpets and can be folded in half for easy storage. While the 2166F model sits in the high price range with a $399 price tag, this 3396F model is $199 RRP. The Vax vacuum cleaner range features a pretty extensive line of cordless stick vacuums, ranging from $130 to $300 in price. Its most expensive model, the Vax VX63 Blade Cordless SlimVac Pet Pro Handstick Vacuum Cleaner, boasts up to 45 minutes of vacuuming time with a 4 hour recharge time. However, with its boost mode, it would significantly reduce that time. Nevertheless, it’s still a fairly lightweight model, 2.9kg in total, and is designed with a detachable handheld vacuum. It includes several accessories such as a crevice tool, pet/stair tool and dust brush. 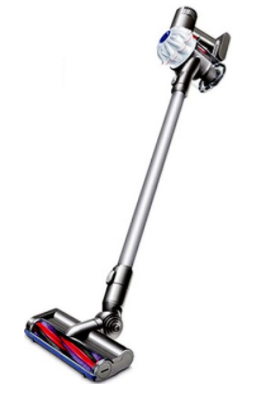 For a simpler handstick vacuum, Vax offers its VX58 Cordless SlimVac 18V Handstick Vacuum Cleaner. While it’s a lightweight model – 2kg in total – it has a run time of up to 20 minutes and a charge time of 8 hours. Nevertheless, you’ll still find the standard features with this model, including a handheld release button and accessories such as a crevice, upholstery and dusting tool, designed to make vacuuming nice and easy. Samsung is well known for major household appliances such as fridges and washers. 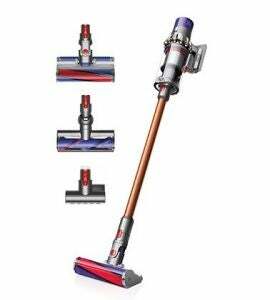 It also offers two stick vacuum cleaners at the time of writing – SS80N8015K2 at $699 and SS80N8076KC at $799. Both are boasted to offer up to 150W of suction power, up to 40 minutes of battery time and are also quite similar in design. These vacuum cleaners are stated to have an ergonomically designed handle that can fold up to 50 degrees to reach lower areas. In addition, you’ll find a detachable dustbin with Samsung’s ‘Easy Clean Technology’ that allows you to remove the bin from the drum with one pull of the lever. Both feature a mini motorised tool to pick up particles from fabric, an extension crevice tool to reach high areas as well as a combination tool and turbo action brush. Where the two models differ is in the additional tools that the slightly more expensive model offers, which includes a soft action brush and a flexible tool, designed to bend at an angle for the hard to reach areas such as on top of the fridge. To see how this works, check out the video below. Kmart produces one cordless stick vacuum model, at the time of writing. It’s fairly simple in design and somewhat light on features but retails for as low as $99. It comes with a 1000W motor, a 0.5L dust bin and a 22.2V rechargeable lithium battery. Expect up to 25 minutes of run time from a single charge of five hours on this battery-operated unit, according to Kmart. While this is unlikely enough for a larger home, it would be more than sufficient for an isolated mess or a single room. Accessories featured with this model include a combination brush, round brush, accessory hook and wall mount, making it easy to store away. You also have the ability to change speed with its variable speed function. So, if you’re looking for a cheap alternative without all the bells and whistles, the budget-friendly retail store might have you covered with this cordless stick vacuum. Before settling on a stick vacuum cleaner, there a number of conditions you should take into account. Otherwise, you might end up with the wrong one. Budget: It may be worthwhile to invest in a more expensive model, but obviously this isn’t a good idea if you can’t afford one. These vacuums typically don’t last as long as traditional vacuums cleaners, so you’ll need to replace them every few years or so. Your budget should really be the first thing on your mind when deciding on a handstick vacuum. Your surface type: It’s crucial to ensure that the model you buy fits your home. Handstick vacuums are not suitable for cleaning your entire floor, whether it’s tiled, carpeted or wood. They’re more suitable for small cleaning jobs in hard to reach areas and certain models perform stronger on different surfaces. A lack of suction on certain surfaces will result in dirt and debris being left behind. For the best results, ensure that the model you buy is a fit for your home. Weight: Due to being handheld appliances, you’ll likely be carrying them around a lot to reach those rooms and stairs. Therefore, you definitely don’t want to pick one that’ll give you a hard time lugging it around. Pick a product that is light enough for you to carry easily. Some of the lightest models can weigh as little as two kilograms. Alternatively, getting a heavier one could be a good workout! Battery: For the sake of convenience, handstick vacuums are cordless. This means you’ll want to keep the battery life of your vacuum in mind. Batteries should last for a few years of average use, unless you plan on vacuuming a lot. Eventually though, they will lose their ability to hold a charge. Once the battery dies, it can often be cheaper to just replace the vacuum itself, so make sure you check the warranty on the battery before you purchase. Also consider how long the battery will last for every use – this tends to be up to around 40 minutes at a time. 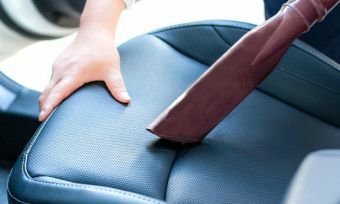 Noise: Being smaller and less powerful than upright vacuums doesn’t mean that handstick vacuums are that much quieter. If noise bothers you when you’re vacuuming, then quitter models definitely exist. It would be best to ask an expert on the Nosie levels before buying. Ratings & Reviews: There are scores of handstick models out there, and sifting through the good and the bad models can be challenging. Online reviews are a good gauge of whether or not a product performs up to standard, and you can also check out our vacuum cleaner customer reviews and ratings to see which of the major brands performed the best overall according to consumers like you. In addition to the considerations listed above, there are also a multitude of different features that some of the more advanced stick vacuum cleaners come with. Depending on your needs, you might want to consider some of the following common features. On/off switch: This might seem fairly obvious, but a lot of models require you to hold a trigger to keep sucking, which can be a bit of a strain on the old fingers. An on/off switch makes continuous operation considerably easier, especially if you’re a regular cleaner. Wall mountable charging dock: While the stick part of the vacuum requires a battery, the handheld part is often chargeable. A docking station will keep the vacuum fully charged for when you need it, and some mounted bases can even keep all of your other accessories in one place as well. Pet hair functions: Standard tools that come with a handstick are crevice and dusting brush tools, but there are other attachable parts built for specific cleaning purposes. The most commonly used is a pet hair brush. Pet hair is particularly difficult to get out, and you can never really be rid of it entirely, but a pet hair attachment will do a fine job in cleaning up after your furry housemate. Fallout flap: A fallout flap prevents dirt from falling out of the back of the vacuum when you carry it with the nozzle facing downwards. People often do this without realizing it when they move between spaces, do having a fallout flap can stop you from having to do extra work. Filters: Most vacuum cleaner models come with a filter to sort through dust particles. These filters should be easy to remove, replace and clean when necessary. Some models also come with HEPA filters, which are ideal if you have an allergy to dust. Wet and dry capabilities: Not all models are suited to sucking up liquids. But the ones that do can store a relatively small amount (150ml), which makes them perfect for cleaning up quickly after a spill. Be sure to clean the in-built bin and filter after sucking up liquids, and do not fill it past the indicated level. In addition to the brands mentioned above, there are several other brands out there, such as Airflo, Monster and the likes of Bosch, Hoover and Kogan, that may offer good deals on handstick vacuums, and one of these providers could just have the perfect vacuum for you. So make sure that you shop around before spending the big bucks. In short, stick vacuum cleaners are a great innovation that can make your life a lot easier. If you have spaces that are hard to reach, or you just don’t like to lug a big vacuum cleaner around, then a stick vacuum is a good option for you. If you’re in the market for a new vacuum cleaner, consider checking out our ratings via the link below.